Microsoft's new search engine Bing has got off to a flying start, with comScore revealing that the search engine heralds a "substantial improvement in the search market" for the computer company. Between 26 to 30 May, Microsoft grabbed 13.8 per cent of the search market in the US. A week later, and with the launch of Bing, this statistic jumped to 15.5 per cent. "This initial data suggests that Microsoft Bing has generated early interest, resulting in a spike in search engagement and an immediate term improvement to Microsoft's position in the search market," explained Mike Hurt, Senior Vice President at comScore. Hunt did warn, however: "The ultimate performance of Bing depends on the extent to which it generates more trial [users] through its extensive launch campaign and whether it retains those trial users. It appears it is off to a good start." 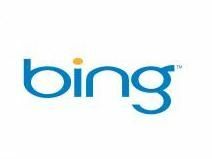 Bing is big news for Microsoft, with the company spending around £60 million in advertising to promote the search engine.